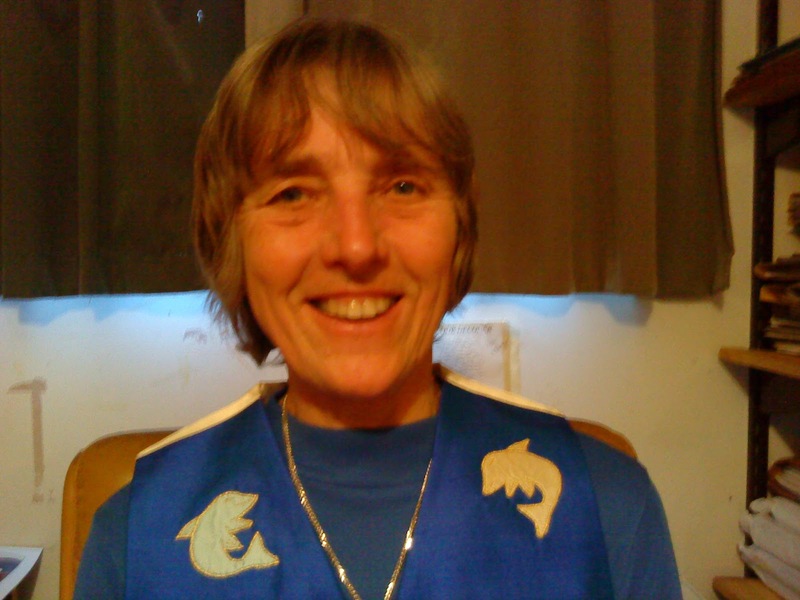 Today’s guest blog is by Caro Peacock (aka Gillian Linscott) a former journalist. Her novel Absent Friends won the Ellis Peters Historical Dagger and The Herodotus Award for the Best International Historical Mystery Novel in 2000. You finish writing a book and, for better or worse, that’s it. I finished my latest Liberty Lane book, The Path of the Wicked, last year and it’s out now. (Published on 31 January.) Only there’s something in it that won’t let me go. Somebody, that is. Or rather, she’s in it only she isn’t. She has an existence outside the book and her real story, as far as I’ve managed to follow it, is as strange as any fiction I’ve written. 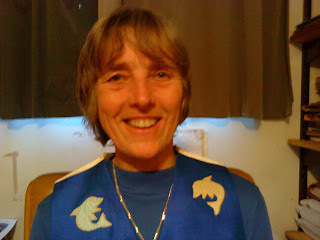 CELIA TIPPINS. – The situation of this unhappy female, now under sentence of death, is creating a painful interest in the public mind. I read on and followed the story through some other regional newspapers. At the recent Gloucester Assizes, Celia Tippins, 34 years old, had been carried fainting from the dock. The case of Celia Tippins was a Victorian melodrama in real life. She’d gone to the house of the father of her illegitimate child in Hereford to ask for money to maintain the baby. The father – “the wicked author of her Sin” – as the jurymen who convicted Celia described him – said he didn’t know her and pushed her out into the rain. Even the workhouse wouldn’t take her and the baby because she had a husband who should support her. However, her husband was sixty miles away in Bristol and he’d only take Celia back if she got money from the biological father for the baby’s upkeep. She’d walked with the baby all the way from Bristol to Hereford. She was hungry and penniless. She’d even had to part with her apron to pay for a night’s lodging. Now she had no alternative but to start walking back to Bristol with the baby in her arms. At some point on a lonely road in the wet November night, the child died. Within days, Celia was in prison charged with his murder. The prosecution case was that she’d drowned the baby. There was always considerable doubt about that. At the trial, the barrister who’d taken on her case from public spiritedness argued strongly that he’d died from natural causes; a victim of his mother’s suffering. “The fatigue she had undergone and the exposure and distress which she had suffered must have had such an effect upon her health as to impair the quality of her milk and be likely to produce illness in her child.” The jury found her guilty with obvious reluctance and added a strong recommendation for mercy, which the judge ignored. So all twelve of the jurors signed a petition to the Home Secretary asking for her life to be spared on the grounds of “the very distressing and peculiarly lamentable conditions of the unhappy prisoner”. (The petition is still there in the government archives – an imposing document on stiff parchment.) More petitions came in expressing, as one of them put it, the “general sympathy of a discerning and intelligent public.” The Home Secretary relented – up to a point. The death sentence was commuted to transportation for life. Authors are greedy things, browsing sharks for other people’s dramas. I fictionalised some aspects of Celia’s case in The Path of the Wicked. I gave her a different name and background, made her younger. In the book, the sentence of transportation has been carried out on the fictional Joanna Picton and my plot centres on attempts to have her brought home from Van Diemens land. That should have been that – but as I was to find out – the real Celia Tippins was a determined woman. Even 172 years on, her story wouldn’t let go of me. What had happened to her after that sentence of transportation? Answering that question should have been easy. If you’re researching your ancestors and have the luck to own one who was transported you’ll be grateful for the meticulous records kept by the State Library of New South Wales (www.sl.nsw.gov.au Go to the research guides page, enter convicts). Even better if the ancestor was female as there’s a volunteer-run site specialising in women who were transported (www.femaleconvicts.org.au) The only problem was that neither of these excellent resources had anything on Celia, either as Tippins or under her maiden name of Corbett. No record either that she’d died on the voyage. So, to Gloucester Archives. (Has anybody else noticed that archivists seem to be secular saints – constantly patient, encouraging, and seemingly happy in their work?) But all we could turn up there was that soon after she’d been sentenced Celia Tippins was transferred from Gloucester Gaol with no hint of where she’d been sent. Months later – because yes I did have a life to lead and Celia had to fit in where she could – I found myself sitting at a desk in the National Archives at Kew with an alphabetical register of convicts in front of me. There was Celia Tippins with three words against her name in tiny handwriting in the right hand column: Gloucester Lun. Asy. Later I found a fuller version in a newspaper in her home city of Hereford: This wretched woman … has become quite insane and on Wednesday last Capt. Mason, the governor of the county gaol, received an order to remove her at once to Gloucester Lunatic Asylum …She will of course receive all the attention her pitiable condition requires. End of story, then. Celia, driven mad, ends her days in Gloucester lunatic asylum. Only it wasn’t the end of the story. Another day, another reading desk at Kew, another bundle of documents. These included letters from Gloucester lunatic asylum to the Home Office ten years after her committal, arguing strongly that Celia Tippins was now entirely sane, had been so for some years and should be released. Reading between the lines, it seems clear that she’d never been insane at all – though probably and not surprisingly severely depressed. In what seems to have been the relatively humane regime of Gloucester asylum she recovered and obviously impressed the authorities enough for them to take some trouble in making a case for her freedom. Eventually a civil servant noted on the back of one of the letters: I should think that she may be discharged without danger. Then two weeks later, 6 January 1851 – eleven years and two months after the night when her child died – another note in small handwriting records that Celia Tippins has been given a free pardon. She would have been 44 or 45 by then. Where did she go? What did she do? I don’t know. Celia Tippins has done one of her disappearing acts again. I’m trying to follow her, and it’s not easy. Perhaps I should just let her go and move on to something else, but her story touches on so many aspects of early Victorian life that I think it’s one that needs telling. So if your name happens to be Tippins (or Corbett, her maiden name) and if there’s anything in your family, history that you think gives a clue to any of this, please get in touch via my website www.caropeacock.co.uk. or Caropeacock@aol.com. 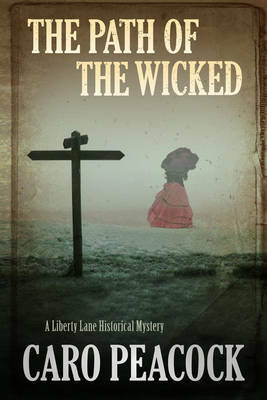 Caro Peacock’s latest Liberty Lane novel, The Path of the Wicked, is published by Severn House. Caro also writes as Gillian Linscott. Her series of books about the suffragette detective Nell Bray are about to come out as eBooks. · Signed copies of all M. R. Hall titles. The competition will be judged by M. R. Hall himself, together with Maria Rejt and Sophie Orme, Publisher and Editor at Pan Macmillan imprint Mantle. Rather than focus on prose writing or how to turn a perfect paragraph, the course concentrates on storytelling techniques, how to build dramatic tension, tips for writing conflict, and gives practical advice on structure and characterisation. 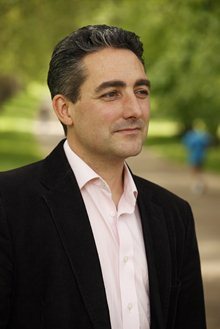 The course is informed by M. R. Hall’s years of experience as a Bafta-nominated television crime writer (on shows including Kavanagh QC and Daziel and Pascoe) as well as his more recent career as the writer of the Coroner Jenny Cooper series. The course can be found at www.facebook.com/MRHallAuthor from January 28th, with one video a week being revealed. 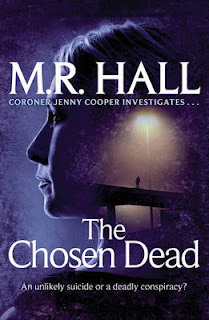 The launch of the course will coincide with publication of M. R. Hall’s new hardback The Chosen Dead and new paperback The Flight, both part of the Coroner Jenny Cooper series. Both The Flight, and the first book in the series, The Coroner, were shortlisted for the Crime Writers Association’s prestigious Gold Dagger award for best crime novel of the year. Six out of the seven videos will only be accessible via the author’s facebook page, but one will be widely available for everyone. Criminal splatterings!!! Film news from the Sundance Film Festival and more!! According to Deadline News, it looks as if David Fincher is thinking about being involved with the filming of the bestselling novel Gone Girl by Gillian Flynn. The novel was acquired in a seven figure deal by 20th Century Fox and is to be produced by Pacific Standard’s Reese Witherspoon. The first draft of the screenplay has been written by the author. Not surprisingly, two of Flynn’s other books are in the works as movie projects. Dark Places which has Amy Adams attached to it and Sharp Objects. 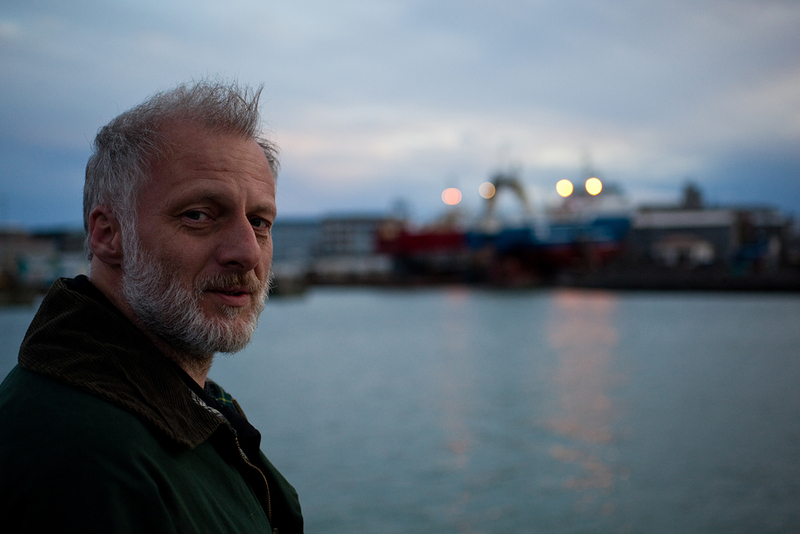 Fincher is still on board to continue with the Stieg Larsson series. 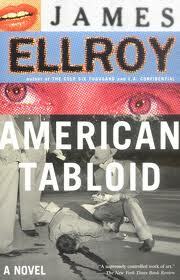 James Franco has announced that he is to direct and star in the adaptation of James Ellroy’s American Tabloid. According to Deadline News the adaptation is still in the early stages. American Tabloid follows five years in the lives of three ex-law enforcement officers embroiled in shady interconnected Washington dealings that lead to President Kennedy’s 1963 assassination. It is not the first time attempts have been made to adapt American Tabloid. Blood’s A Rover the third book in the trilogy is currently been developed with Ellroy as the executive producer. Kill Your Darlings, which features Daniel Radcliffe and is the untold story of a murder that brought together a young Allen Ginsberg, Jack Kerouac and William Burroughs is according to Deadline News close to having a deal done by Sony Pictures Classics covering multiple territories. Trance, is a psychological thriller starring James McAvoy, Rosario Dawson and Vincent Cassel and centres on "a fine art auctioneer, mixed up with a criminal gang, who join forces with a hypnotherapist to recover a lost painting.". 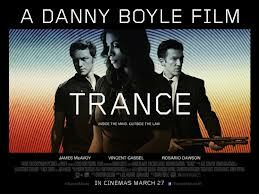 Trance is due in the cinema in the UK on March 27. It looks as if Joaquin Phoenix is in talks to star in the adaptation of Inherent Vice. Inherent Vice is a noir tale, set in 1969 Los Angeles, and is based on Thomas Pynchon's 2009 novel about a weed-smoking private detective on a kidnapping case. With British crime dramas on a high another film to look out for is All Things To All Men, staring Gabriel Byrne, Rufus Sewell and Toby Stephens. Stephens plays Riley, a professional thief, who's hired to pull off "the ultimate sting" only to find himself caught between maverick cop Parker (Sewell) and crime lord Corso (Byrne). With Parker determined to bring down Corso, the sting going wrong and the stakes get higher and higer. All Things To Men is out in the UK on 8 March. Another film to look out for is The Liability, a British gangster film featuring Tim Roth who plays a ruthless hit-man. The Liability follows the tale of a teenager who is taken under Roth’s wing as he tries to earn some money to pay back his father. The Liability is out in the UK on 22 February 2013. The trailer can be seen below. According to Firstshowing.net Denzel Washington and Mark Whalberg are staring in the action thriller 2 Guns which is an adaptation based on Steven Grant's graphic novel of the same name. 2 Guns is a pulp story a man named Trench who has targeted a local bank to rob and asked another thief named Steadman in on the job. Trench figures it's a great way to score – considering it's a cover for mob money. They'll be thieves ripping off thieves. But what Steadman doesn't know is that Trench is a DEA agent. And what Trench doesn't know is that Steadman's got his own secret and isn't who he appears to be... 2 Guns is due out in August 2013. 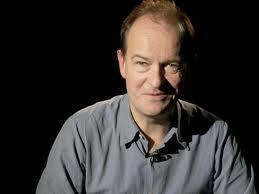 Today's guest blog post is by Peter Bradshaw who is the Guardian film critic. He also co-wrote and acted in David Baddiel's sitcom Baddiel's Syndrome. 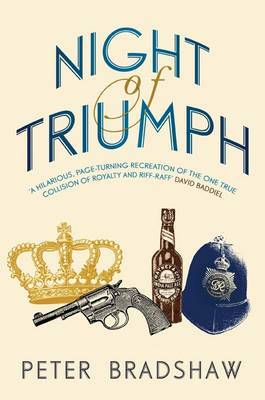 The debut crime caper from Peter Bradshaw Night of Triumph brings us back to VE night, 1945, when the teenage princesses, Elizabeth and Margaret, were allowed to leave the palace incognito and join the parties and festivities with their subjects. The Palace was forced to issue a statement that the episode was without incident; but what if…? For this new book, looking into various aspects of the legend of VE Night, I became inspired by one of the most fascinating books I have ever come across about the 1940s and the home front: Donald Thomas’s An Underworld At War: Spivs, Deserters, Racketeers and Civilians in the Second World War. Naively, I think I assumed that just as normal party politics was suspended for the duration of the war to create a National Government, then surely regular criminal activity would have been temporarily put on hold in the interests of patriotism and tackling the larger criminal: Adolf Hitler. Nonsense, of course. Crime flourished. It wasn’t simply the question of cheap goods on the “black market” — though it’s surprising how many people now don’t grasp that these goods were cheap and furtively available because they had been stolen — but the fact that a dedicated class of persistent and professional criminals used the chaos in embattled London as a cover for wrongdoing and pure greed. Bombed buildings were frequently looted. Once the inhabitants of damaged houses were removed to places of safety, their homes were horribly vulnerable to being stripped of valuables. Officials and wardens would return to the charred shells of houses to find that the gas meter had been emptied of sixpences. 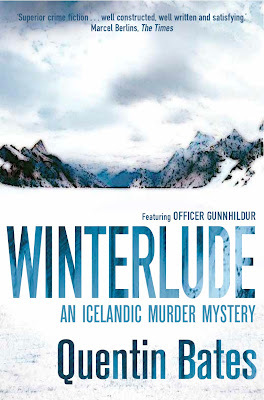 In addition, my reading uncovered the shocking and undiscussed rumours that the wardens themselves may have succumbed to the temptation to help themselves. There is a whiff of pure evil about the crime being discussed here, a whiff that it would not have had in peacetime, because home-front crime was highly damaging to morale and the petty thieves were Hitler’s useful idiots. In Night of Triumph, I made my character Mr Ware one of them. He is a nasty piece of work, a lowlife and a deserter who has found the war a six-year-long career opportunity in crime. I wanted him to be a Greeneian character in some ways, but without the introspection — the more reflective qualities are given to the book’s lead character, Princess Elizabeth. In my book Elizabeth is unworldly, perhaps more unworldly than was actually the case — but it is this unworldliness, combined with dangerous carnival of VE Night, which brings her into contact with Mr Ware. There is taboo and terror in their encounter. What to write next? I am drawn to the 1940s period, perhaps especially to that of the post-war Attlee government. In addition, I am fascinated in the idea of a straight crime novel. Crime poses unique challenges. The details have to be right. The narrative has to grip, and of course, there is no alibi for slack or indulgent writing. Surely, my criminal adventure cannot end here. The city is experiencing an epidemic of apparently random deaths, where victims don’t seem to realise they have been attacked. With the authorities in denial, Albia is hired by a dead client’s relative to find the murderer. Soon she is tripping over high-grade officials and the low-grade police force, some of whom want to use her talents, while others try to divert her investigations. One seems intent on romance; though delighted, Albia must juggle this with having to make allies elsewhere for the case. There are few clues. The killer is clever, unpredictable, and uses a method so discreet it is barely discernible. 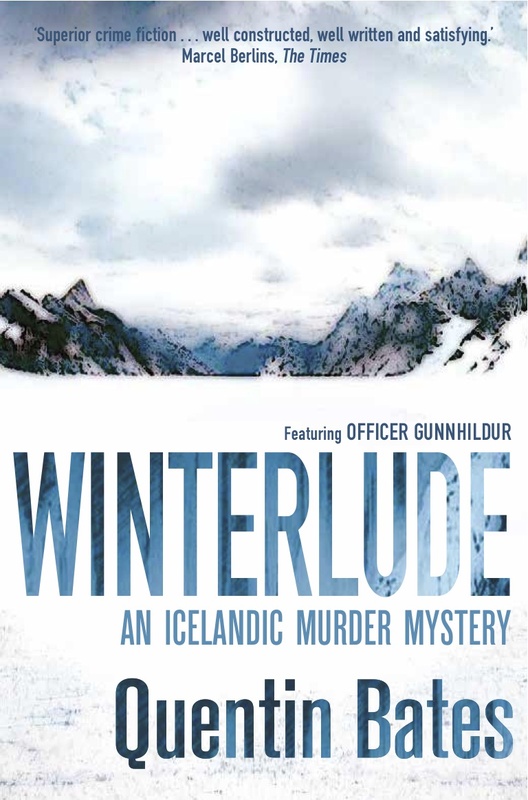 Will dogged detective work ever be enough to find him? Historical novelist Lindsey Davis is best known for The Course of Honour, the true story of the Emperor Vespasian and his mistress Caenis, and for her twenty volume mystery series featuring Roman detective, Marcus Didius Falco, with its recent addition of Falco: the Official Companion, a cheery handbook for readers. She has also written Rebels and Traitors, an epic novel set in the English Civil War and Commonwealth. She has won the CWA Historical Dagger, Dagger in the Library, and a Sherlock for Falco as Best Detective. She has been Honorary President of the Classical Association, Chair of the Crime Writers Association and Chair of the Society of Authors'. In 2010, the city of Rome gave her the Premio Colosseo, awarded 'for enhancing the image of Rome' and in 2011, she was awarded the CWA Cartier Diamond Dagger for lifetime achievement. Flavia Albia is the adopted daughter of a famous investigating family. In defiance of tradition, she lives alone on the colourful Aventine Hill, and battles out a solo career in a male-dominated world. As a woman and an outsider, Albia has special insight into the best, and worst, of life in ancient Rome. A female client dies in mysterious circumstances. Albia investigates and discovers there have been many other strange deaths all over the city, yet she is warned off by the authorities. The vigils are incompetent. The local magistrate is otherwise engaged, organising the Games of Ceres, notorious for its ancient fox-burning ritual. Even Albia herself is preoccupied with a new love affair: Andronicus, an attractive archivist, offers all that a love-starved young widow can want, even though she knows better than to take him home to meet the parents...As the festival progresses, her neighbourhood descends into mayhem and becomes the heartless killer's territory. While Albia and her allies search for him, he stalks them through familiar byways and brings murder ever closer to home. The Ides of April is vintage Lindsey Davis, offering wit, intrigue, action and a brilliant new heroine who promises to be as celebrated as Marcus Didius Falco and Helena Justina, her fictional predecessors. Well, if you haven’t heard the news by now, the title of the new Dan Brown novel is Inferno and is due to be published by Transworld in May. The title of the new book was revealed in an online puzzle. Once again, the novel will feature Robert Langdon whom readers first met in The Da Vinci Code and subsequently in The Lost Symbol. According to his publishers, the novel has been inspired by Dante's classic and will be set in Florence. The Guardian article can be read here and The Independent here. Inferno is Dan Brown’s sixth novel. The Independent’s Invisible Ink: No 154 is on Ellery Queen the pseudonym of Manfred Lee and Frederic Dannay and is by Christopher Fowler. The full article can be read here. They are also the co-founders of Ellery Queen's Mystery Magazine in 1941 one of the few mystery based short story magazines still being published today. Award winning author Robert Wilson who has set his novels in West Africa, Lisbon and Seville and is best known for his Javier Falcón series explains in the Daily Telegraph why he decided to set his new series in London. The article can be read here. According to the Daily Telegraph Dominic Cooper is to play Ian Fleming in a drama about the creator of James Bond. Dominic Cooper is best known for the films My Week with Marilyn and Mamma Mia. The long-list for the Branford Boase Award has been announced. The Branford Boase Award is given annually to the author of an outstanding debut novel for children and honours the editor of the winning title. Congratulations go to long-listed author Tanya Byrne whose novel the Heart-Shaped Bruise, was short-listed for the CWA John Creasey New Blood Dagger. Not something anybody would want to happen to them but Patricia Cornwell who is a notoriously private author is finding herself in the spotlight as she is currently suing her former accounting firm. The Daily Telegraph article can be found here and the Huffington Post article can be read here. The Guardian article can be found here. According to the Bookseller, Titan Books have acquired a military science-fiction thriller entitled Seal Team 666. The novels have been written by American intelligence officer turned author, Weston Ochse. Titan Books will publish book one in the UK and US in March 2014, its sequel, Yesterday’s Hero in September 2014 and a third novel, Anti-Hero in early 2015. The German writer, crime novelist and playwright Jakob Arjouni, has died from pancreatic cancer at the age of 48 years. He was at home in Berlin with his family. More information can be found here. His books were published by No Exit Press in the UK and a new Brother Kemal Kayankaya novel is due to be published this year. Mark Lawson’s tribute in the Guardian can be found here. His obituary in German can be found here. Hat tip to Maxim Jakubowski and Janet Rudolph. Very interesting article on literary agent Andrew Lownie’s website about what UK Fiction Editors want. The whole article can be read here. Good to see a vast number of familiar names from those who commission crime and thriller books. Certainly worth reading by all. Cathi Unsworth reviews Tom Benn latest novel Chamber Music in the Guardian. A recent blog post for Shotsblog by Tom Benn can be found here. One minute with Tom Benn can be read here. Alison Flood’s review of Malcolm Mackay’s debut novel The Necessary Death of Lewis Winter can be found here. Interesting article by Cortina Butler on author Michael Marshall whose new novel We Are Here, is to be published by Orion in March 2013. 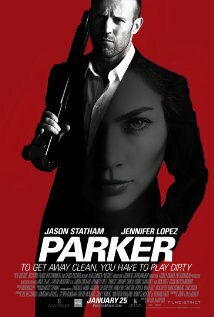 Parker the film based on the author Donald Westlake’s character and featuring Jason Statham as the eponymous Parker, Jennifer Lopez, Nick Nolte and Michael Chiklis is due to be released on 8 March in the UK. The premise of the story line is that of a thief with a unique code of professional ethics who is double-crossed by his crew and left for dead. Assuming a new disguise and forming an unlikely alliance with a woman on the inside, he looks to hijack the score of the crew's latest heist. According to Indiewire.com actors Ray Liotta, Jeremy Piven and Juno Temple have signed up to join Robert Rodriguez's 'Sin City: A Dame To Kill For’. "Sin City: A Dame To Kill For" will be shown in cinemas in the States from October 4th. The Iceman will open in the UK on 7 June 2013. 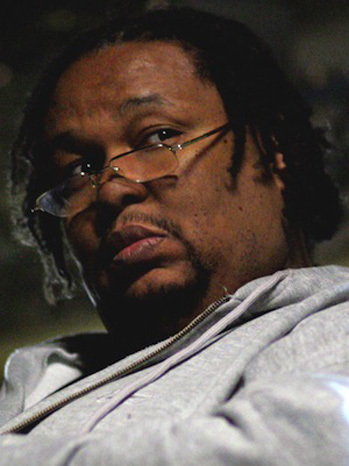 Extremely sad news to hear that and according to NME.com that The Wire actor Robert F Chew who played “Prop Joe” has died at the age of 52. He passed away on Thursday of apparent heart failure. Chew not only stared in The Wire but also Homicide Life on The Street and The Corner both series based on books written by David Simon. The Baltimore Sun obituary can be found here. The Hollywood Reporter and Deadline.com. Fans of Homeland will be pleased to know that despite the recent cliffhanger of an ending featuring Damien Lewis as Nicholas Brody, executive producer Howard Brooks has now confirmed that Brody will definitely be involved in the third season according to TVLine. If you are interested in knowing about the development of crime and detective fiction then the British Library in conjunction with the Folio Society are hosting a free exhibition. Classic locked-room mysteries, tales of murder and mayhem in quaint villages or gritty adventures on mean city streets. Crime fiction, which currently accounts for over a third of all fiction published in English, holds millions of people enthralled. Murder in the Library will take you on a fascinating journey through the development of crime and detective fiction, from its origins in the early 19th century through to contemporary Nordic Noir, taking in the adventures of Sherlock Holmes, the first appearance of Miss Marple and the fiendish plots of Dr Fu Manchu along the way. 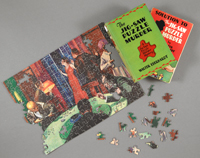 As part of Murder in the Library, a new exhibition at the British Library (18 January to 12 May 2013) a series of crime events will take place alongside the exhibition, including Real Crime Real Fiction. In this panel discussion writers, curators and journalists explore the impact of real life crimes on the writing and production of crime fiction both on television and in print. 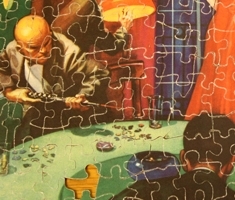 Does the consumption of crime novels influence the way we read about real crime? Where does 'true crime', which takes its inspiration from actual events rather than mere imagination, fit in? Joining host, writer and journalist Barry Forshaw, will be authors Laura Wilson, Robert Ryan and Mark Billingham and Carla Connolly, curator at St Bartholomew's Pathology Museum. To book tickets for events please visit http://boxoffice.bl.uk, call 01937 546546 (Mon - Fri, 09.00 - 17.00) or buy tickets in person at the British Library. presented to the winners at the 67th Gala Banquet on 2 May 2013 at the Grand Hyatt Hotel, New York banquet. The nominations can also be found here.